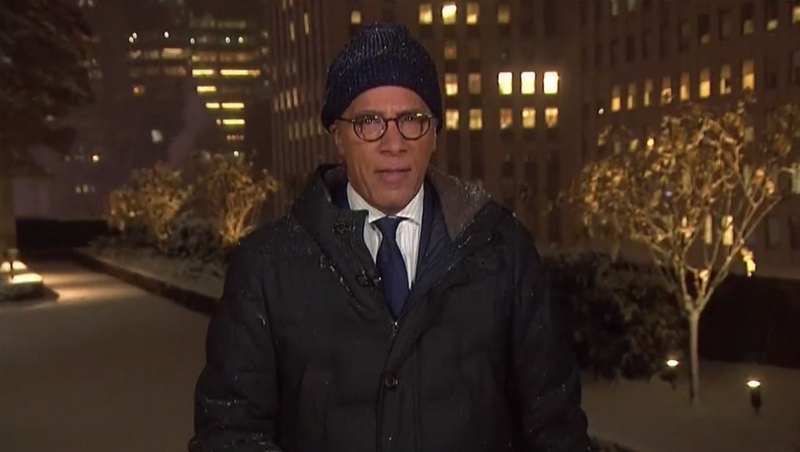 Holt kicked off the Thursday, Nov. 15, 2018, edition of the newscast from one of the Rockefeller Center roof gardens. 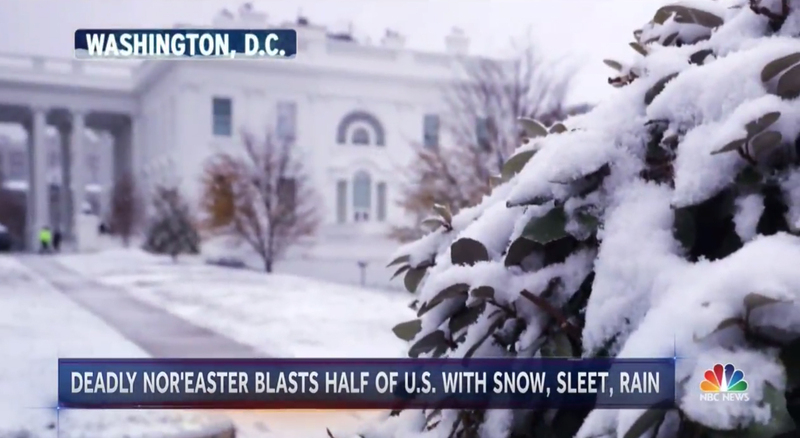 The network used an OTS with red ‘breaking news’ along with the headline ‘Major Winter Blast.’We start outside our Manhattan studio tonight to show you what millions of folks in the eastern half of the country are dealing with right now,’ said Holt at the top before of the broadcast. After a brief overview, Holt tossed to a package from Ron Mott. The package featured imagery from around the country with an icy locator line in the upper left. 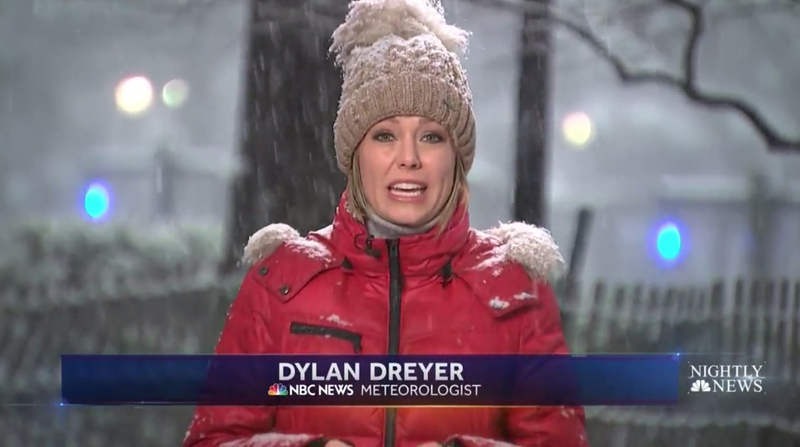 NBC meteorologist Dylan Dreyer also appeared in the package in a standup-style bit that also incorporated weather maps. After the package, Holt came back on screen saying ‘We’re now back inside. 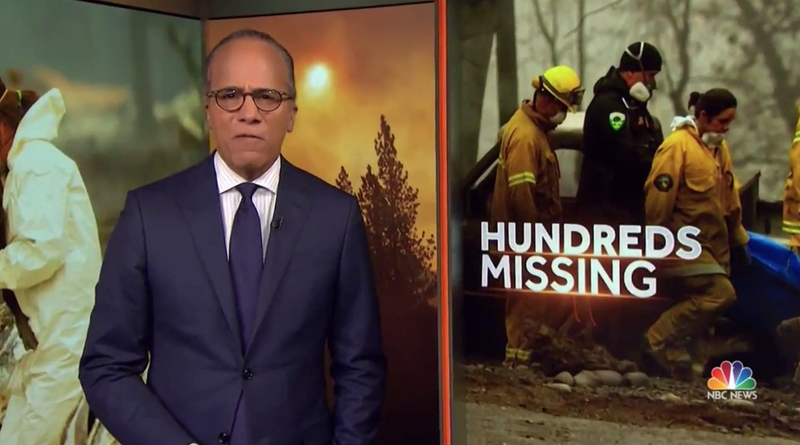 We turn from the snow to the fire …,’ transitioning to wildfire coverage from Studio 3A’s vista wall alcove. All told, Holt would have had about a minute and a half to move indoors. 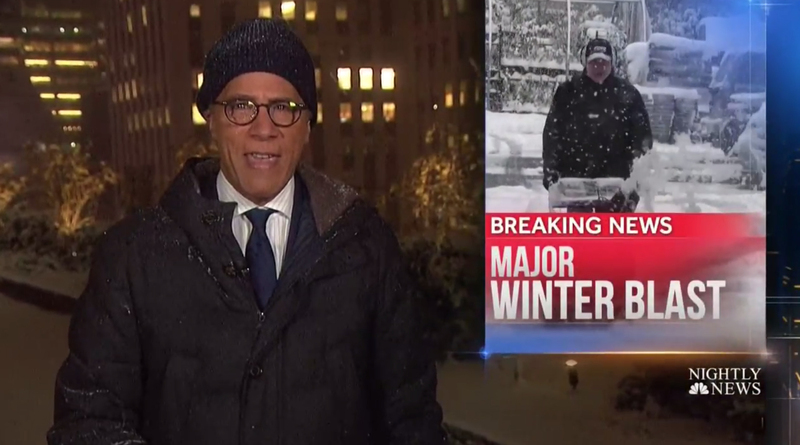 While both “CBS Evening News” and “ABC World News Tonight” covered the winter weather, neither of them had their anchors outdoors.